Do you always know what books you want to read? Or do you rely on recommendations, book reviews (and maybe appealing covers)? I guess there is third option, the I read one book by this author so I’ll read everything else they have ever written. This works, but eventually you’ve out-read the author’s writing so you have to find another author, or stop reading. I would like to think that I am a go-your-own-way kind of reader, but I’m probably not. In fact, I know I’m not, my amazon account is testament to my frequent impulse purchases when I see an appealing review. This would be OK – well almost OK, there is the issue of how much I’m spending on books each month. So yes, it would be OK if you could be sure that the reviewer knew a bit more about you, so they only recommended the sort of book you would like. Impossible, of course, but the wonderful author Kate Scott has set up a scheme where schools are put in touch with children’s authors who recommend a book each month to the school library. It’s called Author Pen-pals. 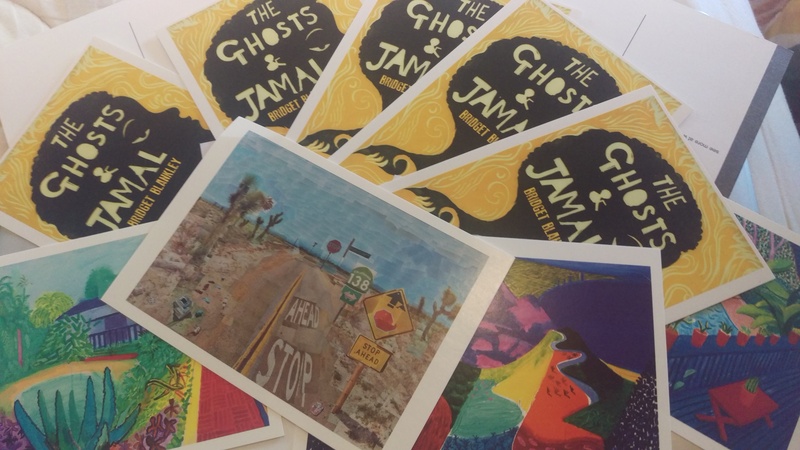 The authors send a postcard each month with a suggested book and the reasons they like it. Will it work? I don’t know, I guess it depends on the authors and the feedback from the schools. But it must be worth a try, (and it might make the basis for someone’s graduate research). Anyway, I’ve signed up and I’m really looking forward to it. The whole thing gets underway in September. I’ll keep the blog updated on progress.